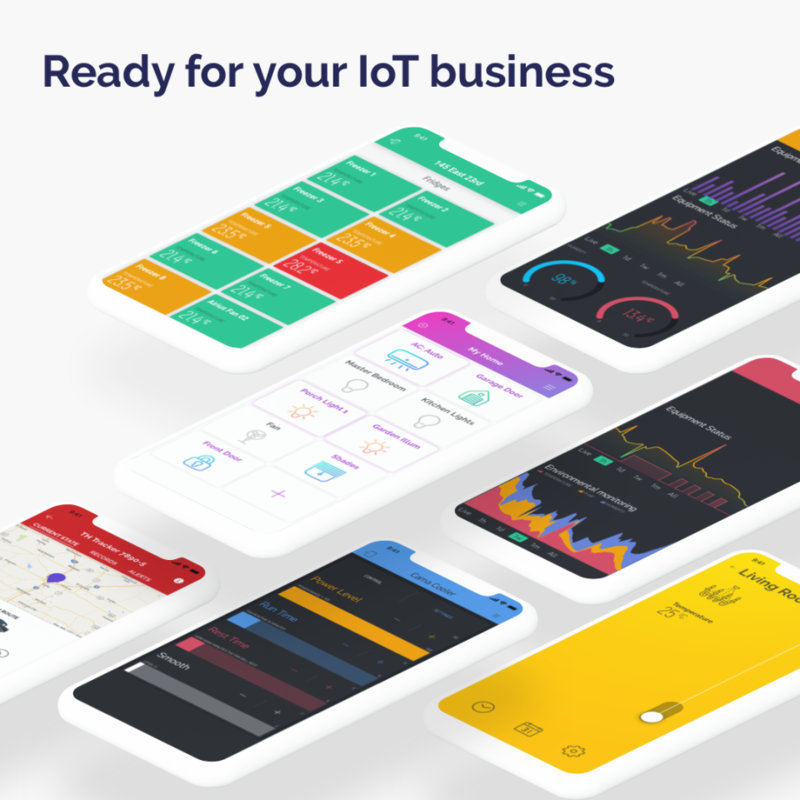 Blynk offers a white-label IoT platform that delivers software, firmware, web solutions, and mobile apps for thousands of small, medium-sized companies and enterprises worldwide. 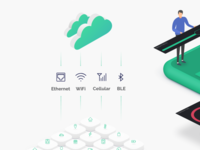 Blynk is the most popular IoT platform for connecting devices to the cloud, designing apps to remotely control and monitor them, and managing thousands of deployed products. 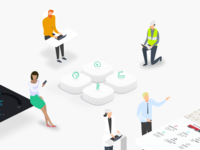 Blynk software helps individuals and organizations to seamlessly progress from a prototype of a connected product to its commercial launch. Pros: Blynk can either be run on a standalone Server or on the Blynk Web server. The product works great!! Versatile, intuitive, creative - those are just some of the many great features of the product. For a small team of developers, running on a small budget, you get an amazing product. With Blynk and Arduino, knowing nothing about electronics, you can create the most amazing projects thanks to the creative minds of the Blynk Team. Their customer support is excellent, but what is even more amazing is the international Blynk support from Blynk users. What an amazing experience!! Blynk offers the common folk the chance to learn about electronics and become creative and to participate in world previously destined for those with an electronic / electrical background and/or education. I do not use any other product except for Blynk - no need to bother looking for anything else because it is all there. Cons: * Pricing is a little high in my opinion, especially in countries where the dollar exchange rate is poor ! Many IoT users will consider pricing over product. * Customizing controls could be more versatile. * A Web interface where code could be generated for the use of controls to help noobs (like me) not suffer from figuring out the code - very much like http://easycoding.tn/tuniot/demos/code/. * MySQL database interaction would be a great advantage instead the default PostGreSQL database. Overall: Using Blynk you can automate, schedule, control and monitor both analog and digital devices across the world either from a web interface (Blynk cloud server) or from your local server. With Blynk your IoT projects and solutions are only limited by your imagination.You will get to love the product! For a small team you get a bloody amazing product! Thanks to them, I can now put out projects and solutions that not only look great but also work great making me look great. Now that works for me! Pros: It is a easy to use system to connect IoT devices to an APP for status and control. It has been incredibly reliable. The community is great and the Blynk people are FAST to respond and help. Are there some features I would like - sure. And I can add them to the "things to add" pool that Blynk has - and if enough of us request them - I am certain they will show up. Overall: I was looking for a quick and simple way to create APPs and tie them into my IoT devices for around the home. There are lots of solutions that can do the basics - push a button and unlock a door - or send me the temperature. However none of them made a classy looking and fairly complex interface possible without a tremendous amount of time, effort and coding. Blynk is simple - get an account - create a project (gives you the authorization code) and add Widgets (big list which I am still playing with trying them all) - then add the library to your IDE (I like Visual Studios with vMicro). Add the basic connectivity activities (lots of examples) - and add the various Widget interfaces to your program. And you are done. AND IT WORKS. I recently added my own Local Server on a Raspberry Pi3B - took a bit of playing to get the SSL stuff ironed out - but it is running like a champ. I am slowly migrating my personal devices over to it. One of the wonders of the iot era that everyone can use ! Pros: What I like for this software is that it is easy to use, easy to use, easy to access and learn. Is a software that covers the user from the point of reaching and controlling your various IoT devices. In my school, I use Blynk to teach my interested children. Including the use of Blynk software to create projects and innovations in order to expand education and apply in the competition until receiving a lot of praise and awards so that many people are interested in Blynk. Blynk is The ultimate software for IoT, which is considered the miracle of the IoT world. Cons: My least favorite thing is the energy system. I need to install the Blynk server myself. The installation process is quite complicated for the Linux operating system. I want the team to develop the server setup to be easy to install and install in every operating system. And want to improve Administration UI for easier server management In addition to this, I think that's great. Overall: For Blynk, I saw the development throughout the entire UI. I have always been a Blynk user and have recommended Blynk to everyone who works on projects or innovations related to IoT for both younger generations. Teachers and interested people Today I have my own Blynk server and always use it. I like and love Blynk because it makes me fun, challenging and more interested in the world of IoT. Blynk is a miracle of the world. I love every development team and thank you for creating Blynk. Thank you. Pros: This app was absolutely the easiest IoT setup I've ever been through. I've used it multiple times with my esp8266's to setup up rbg controllable lights that I can share with friends. Their arduino library couldn't be simpler to implement and comes with great documentation and a multitude of examples for each type of device. All I needed was an autogenerated key string at the top of my code to connect it to the prebuilt and maintained backend. Then it was as simple as adding their rgb widget and pointing it at the pins I set. I loved that I could share my project with my family so they could control the lights with the same setup on their phones. No UI work necessary on my part and a setup up of 5 min means this is a HUGE win. Cons: I have very little to say in cons since they really met my needs quickly as a developer who works fast on his side projects and hobbies. One small thing I noticed is sharing is a little annoying because you share with a QR code so your recipient has to scan it. They allow you to send the QR code easily inside the app, but it doesn't help much if I'm able to text a QR code to someone's phone where they then need to scan it... we ended up using facebook messenger on their computers and they scanned with their phones. Pros: I've used Blynk for both personal and business use. I've used it for several small IoT projects in my house (monitoring pets, lights, temp, etc), and my employer also contracted with Blynk to perform some custom functions for an application we needed. They excel at customer service and I would recommend them for either small or large projects. Cons: There are some features I'd like them to include, like a web dashboard. That said, this isn't really a criticism of their current offering, it's more of a feature request. I have no negatives to comment on the features they do offer, it has worked surprisingly well for me in many different applications. Overall: My employer contracted with Blynk to build some custom functionality for monitoring environmental parameters. We had a great experience, they designed several new UI elements to solve our needs, they've always been extremely easy to deal with and responsive to my questions. I would recommend them to anyone looking to solve a unique problem with IoT! Pros: With Blynk you can create an app in minutes. You have direct access to the hardware i/o and can easily incorporate data manipulation like statistics along with graphs, alerts, social networks, hardware, and process control, triggering and more. The apps can be developed further even when the hardware is already gone live. The apps can be shared and distributed via the Blynk app or standalone apps. No special platform or downloads needed. No ads whatsoever! Examples provided for everything. Cons: It was a bit steep to catch the idea on the start but the tutorials were there to help. The videos should be promoted more for the first contact to show how simple it is to get along with Blynk. Overall: In my business, we use Blynk for automation control, industrial telematics, and reporting. We have hardware that is accessed by many users at once and we need to handle this control in real time and a user-friendly manner with no dead-locking conflicts. The Blynk platform and app made possible to have a custom made, industrial-grade solution for dirt- cheap hardware at a minute fraction of the cost. 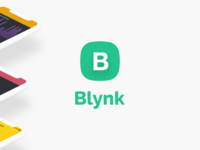 Pros: Blynk has offered easily adaptable and working solution for every iOT project we wanted to do. There has been many very different kind of projects done in our iOT experiment group. Application examples are Home Automation, Robot Control, Voice control, Model Train Control, Music Players control and many more. Blynk has offered a nice UI solution for every project we have done. Cons: The amazing Blynk Forum is the best software related forum I have been visiting. There is an answer for every question and even for questions that are not Blynk related. People are asking for example help for how to write programs for Arduino etc. That means there is too much 'garbage' in Blynk Forum website. Overall: Currently I'm not doing business related software with Blynk. However, easy 'surfing' with many different kind of projects may lead to an application that is suitable for business use. Pros: It's simple and easy to create your own flexible app layouts in both iOS and Android and get them working with your hardware in just a few minutes. You can get started for free then if you want your apps to be a bot more complex you can either install your own local Blynk server and continue for free, or use the Blynk cloud servers for a small one-off payment add more app elements (widgets). A Node-Red plug-in is available with Blynk, which makes integration with other systems very easy. Cons: The iOS has a few missing features (mostly due to restrictions imposed by Apple), but its still extremely usable. Overall: I've used Blynk as my home automation control system, in association with Node-Red. Al of my smart home devices are controlled via the Blynk app, and it's proven 100% reliable. Particle and ESP Projects made easy! Pros: Network connected microcontrollers are meaningless without a way to interact with them. Blynk makes the interface/app end of things EASY. Cons: None. The Blynk app works well on all devices I've tried, setting up a project is easy, coding the controller is easy, and things just work! Overall: I use several dashboards for several projects around the house, including my home security system and sump pump monitor. The app is very pleasing to the eye, my projects look very professional, and works flawlessly. The community support is very active, and company stakeholders are extremely active on their forums. They are generous with the amount of product that they let you use for free, more than enough to try it out and create truly useful projects, but if you want to do more, the cost to add additional widgets is surprisingly cheap. I threw them $20 a long time ago and still have most of that credit available. A great tool for prototyping on the fly! Pros: I like the modularity of the application. The ease of use makes building prototypes very simple and quick. The fact that I can take my idea to prototype within minutes allows me to focus more on the project itself rather than a functional prototype. The ability to send my finished product, built in Blynk, to others is a great feature. I can build the hardware and send the application to the users phone. Cons: I would like the superchart to have a graph of some kind to help determine the level more accurately. Overall: Blynk is helping me build applications with hardware to monitor gardens, monitor indoor temperature, and a centralized open/closed vent system. It cuts out the need to develop software for prototypes or even full fledged products. It is great tool to have for beginners and experts. Pros: With Blynk, it is extremely easy to get WiFi and bluetooth enabled development boards like the ESP-32 functioning at the same level as store-bought home automation smart devices. It is easy to make a customize able set of widgets that allow control through a smart phone, which saves makers from being forced to buy commercial IoT devices when you can build a much more customizable version for cheaper. Cons: Some of the widgets are locked to a specific size ad cannot be resized. I would like to see more current features like Google Assistant or Siri integration. Overall: From using Blynk, I have realized that I don't need to rely on companies to sell me IoT devices to have a smart home. Instead, I can make every single device myself and have it all localized to the Blynk app. 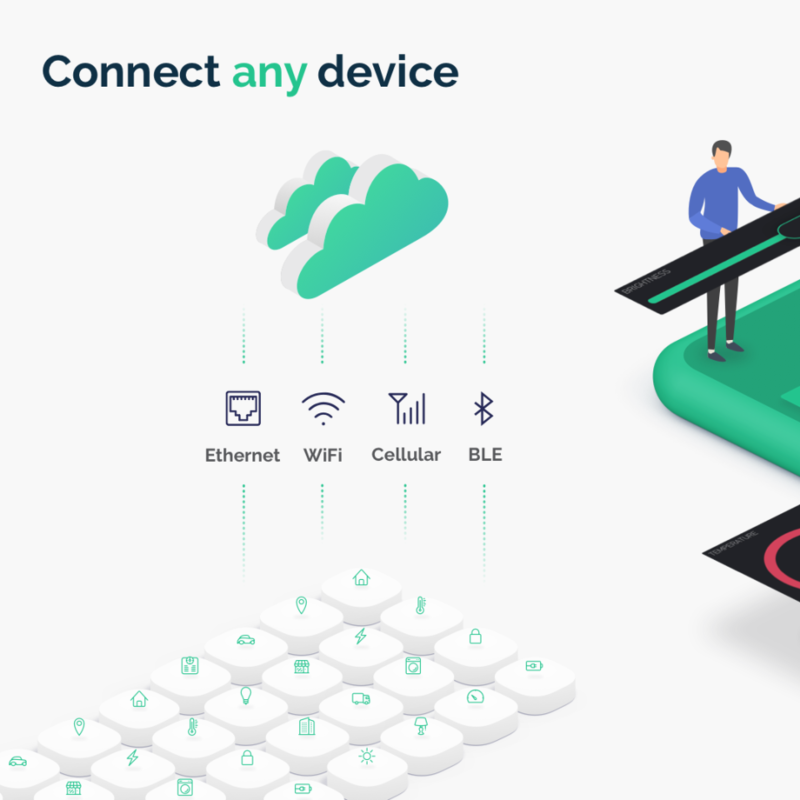 Pros: Blynk is the ideal software solution to connect all imaginable ideas around IoT hardware and make them accessible via Android and iOS Apps. Where Blynk really shines is creating complex user interfaces for monitoring and control. What takes hours in other systems can be done in a few minutes in Blynk. It is open and also integrates into other solutions, e.g. you are free to put your monitoring data into the Blynk cloud or use your own database with a little more effort. Cons: The documentation could be more detailed. Many good tips and examples can only be found in the Community Forum, which is well maintained by the developers. Overall: For me Blynk is the first choice for the central software of an IoT idea. And the most important: it's fun! Pros: The software is super easy to use. It's compatible with Arduino, raspberry pi, and tons of other cheap micro-controllers that make home automation a breeze. Very little coding is required, and you can get a system up and running in no time. The community is great and very helpful with troubleshooting and they really care about your opinions and suggestions. Highly recommend to anyone, beginners or experts! Cons: There was a little bit of a learning curve with specific widgets that may not seem straight forward, but the examples online are very helpful. Overall: I appreciate the simplicity of creating a small project and then having an app as a controller for any home automation project. It's one of the few apps where I would actually pay money for. Pros: Blynk allowed me to create a system for a proton interface to control my house. I didn't wanted to create an entire app, so Blynk came as a fast solution and ended up beign a complete tool to create a fully automatization system for my house, and apart from all that, amazingly let me share with family members who also live in my house. Cons: There are no "cons", only some little bugs that have appear from time to time, like disconnections, inhabillity to share with others trough qr, and thins that, asmwith any app, solves either automatically or trough app updates. Overall: Blynk controls my proton particle interfaces to control several hardware in my house. Pros: Blynk's strengths are its relative ease of use and its wide support for IOT platforms. 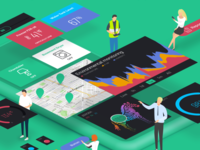 In addition, Blynk solves the problem of needing to develop a mobile application for your IOT solution, which is great for prototyping (and even moving beyond prototyping). Cons: In this case, Blynk's strengths tie into its weaknesses. It is easy to use, but difficult to accomplish more specialized tasks. It supports many platforms, requiring that it cover the least common denominator. Documentation could be greatly improved -- in particular, lower-level API and protocol documentation that would assist in getting more advanced use cases off of the ground. Finally, security is a big concern with Blynk. I understand that IoT solutions are low-powered and that encryption is not necessarily top of mind, but it needs to be; a platform as ubiquitous as Blynk should have easy-to-use support for encrypted transit between the device and the server; in particular using common crypto accelerators such as the ATECC508A. Overall: My experience with Blynk so far has been limited to prototyping, but it has been positive. There are a few things that I wanted to do that I was unable to accomplish with Blynk, but I was willing to live without those for the benefit of not needing to write my mobile application from scratch. I would not take Blynk into production though, primarily due to the security concerns. Pros: I was a Newby in C coding and I needed something cheap and versatile to test our products all around the world with real-time feedback and control. Cons: Honestly, nothing much to say about that. The only thing that I missed most was a browser interface that others may have. Overall: I realized a lot of blynk projects with Arduino and esp devices with all kind of communication: Ethernet, Wi-Fi, GSM, always with success and riable. Even the choice to build your personal blynk server was a great thing when you Don does not have access to the Internet. Pros: I love to experiment with IoT and keep adding sensor and actions all over my world. Blynk is the glue that makes it all work together. And it does it in a logical manner that really fits my thinking. I use the iOS and android GUI builders. And I use the bridge widget to let my Objects communicate directly. I am also thinking about using a local server at some point as even that seems so easy. Cons: The GUI is extremely easy to use but could benefit from a little more optional visual customization. That way my wife would love it even more. Pros: It's free download and still free if using for small projects. But I don't mind paying for tokens for bigger project, since it's very useful. Cons: If we have several projects, some times it may turns to selecting project's mode. It would be a bit difficult, let's say when I need to open my gate while driving. Overall: I've been using Blynk for quite some times now, for controlling Things at home: rolling gate, lights, pump, etc. It never fail me. Even I've been connect it to Google Assistance through IFTTT and now my son can turn on the light by asking Googe Assistance to turn on for him, previously he has to ask us to help, because the switch is too high for him. Pros: Very simple to get up and running, easy drag and drop interface. The developers have done a great job introducing new widgets which enhance the functionality and show that they listen to feedback. Cons: Some minor things - projects are ordered by the creation data. When you have a large number of projects they can't be re-ordered so scrolling through them is a pain. If you need high resolution long term history of readings you'll need a local server rather than using the Blynk cloud service. Overall: Great for creating quick and simple IoT dashboards but also has features for those more complex projects. Pros: It's so extremely fast to create a nice mobile app from Arduino H/W data. It can not be easier to develop IoT solutions including great looking user interface. The concept of buying electrical energy for more sophisticated apps has very high value for money. For a small number of bucks you get enough "energy" to build great apps. The tutorial videos are also extremely helpful and fun to watch. It's also great that a local server can be setup and that a Docker image is available as well. Cons: The documentation for the local server could be a bit better. Pros: Drag and drop app makes it incredibly easy to creatrean intuitive gui that would take weeks or months otherwise. The amount of inputs and outputs available are great and don't leave anything to be desired. Cons: I don't know why they decided to use js and not python. I had to go find a port to use it. I the world of raspberry pi python is king and an official python api would be amazing. Overall: I created an amazing remote start for my car using this. The app and the software to run all of the automation was so easy to use. It was incredible to be able to create the front end to my project on a day. Pros: The software is very easy to use and implement even for me who did not do any coding in the last 15 years. My sensors have been running on Blynk server for more than 3 years now without any issue. I was also positively impressed when seeing my improvement proposals implemented in the app after only a few weeks. Overall: I wanted to start my connected home mostly using ESP8266 to do really custom hardware and software. Blynk allowed me to get it running within a few hours. Pros: The obvious part is, that it is astonishingly easy to connect the app with a new device and set up a new user interface. But what really surprised me is how easy it is to integrate your own code into the Blynk firmware. Furthermore the reaction time of the interactions is amazingly quick. - the way how strictly the interfaced for different devices are separated onto different screens. Overall: Great! I use it both for quick any easy prototyping, as well as for my final products for myself. Pros: I absolutely love the simplicity and the pricing model. That's the reason why we have integrated Blynk as a #1 integration for makers to our BigClown IoT Digital Maker Kit platform. 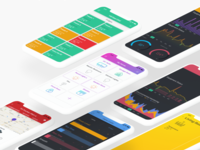 You can easily connect your hardware with your mobile app dashboard within minutes and without writing a single line of code. We find the Blynk cloud service very stable. The great part is, you can not only display sensor values (and plot time series graphs from them), but control your appliances as well. Cons: I believe the app UI design for such a great tool deserves to be a bit better. We connect Blynk through a Node-RED plugin. However, a more CLI approach (and transparent bridge to MQTT) would be nice. Overall: The overall experience is great - I hope the community and the ecosystem in the platform will be growing. Our BigClown customers have been using it for their maker projects, but it is also used in the educational sector. Pros: Very easy to use. Very versatile. nearly all what is needed is there. Other point is the miss of analytical app on the server side when running personal server it could be usefull to have some kind of tool to anayse the datas collected in the database. Of course we can use our own, but something out of the box could be usefull. Overall: I did several projects with blynk (mostly using Arduinos and ESPs) and I am very happy with it. One is actually a quite big project mixing 3 arduinos, an ESP and a nextion display with blynk as a remote action and controler, it works pretty well. The blynk.communuity site is very usefulll to learn how to do things and the docs are very usefull too, lots of good examples here that really helps. With all this I've always been able to figure out a problem without having to request help. And this proove the quality of the product itself but also the quality of the information you can get your hand on. Overall: Super simple to use and supports all the common microcontroller platforms. I like the wide range of different elements you can add, especially GPS triggers and the SuperChart are great. I use it in my air quality monitor, smart lighting system, garage door opener, diy thermostat and every time I need to change values on an esp on the fly. The pricing is fair imo, since you can always delete unused elements to get your energy refunded. Pros: I like the Blynk platforme the most because there are no limits of boards you can use in your projects, like on some other platforms, and a good description of function on web page. I also like that ESP2688 is supported and now I have made 10 IOT projects and they are all running from one to two years without any issues. Cons: For me it would be helpful if Blynk platform would have a simpler function for delay function like the one used in Arduino. Overall: I have a small farm about 20km from home, without Blynk platform I would need to go every day to farm to make some tasks ( like pumping fresh water, opening some gates etc. ), now with Blynk and some IP cameras it is possible to go only on weekends or at least not every day. Pros: I like that I don't need to write my own app for my phone. I'm using the blynk app which is constantly upgraded with new widgets and functionality. So in a couple of minutes you can start building your own project. Cons: Nothing special. A the beginning the blynk app had some is lack of functionality but this i now resolved. Overall: Very easy to use and install. I'm using blink over 2 years now and it's working like a charm. -Easy to make something functional and no thinking about how am I going to get this to work remotely! Cons: -interface design is super rigid. Overall: Been using blynk for years. Great support on the IoT platforms I use, so far! Pros: Easy to install and use. With just few easy steps, the hardware and the mobile App will be communicating with the world and with each others. Best of all is the flexibility to choose from the out-of-the-box cloud server or the local server allowing so, a total control of the project. Cons: Blynk is not known to many in the IOT world yet. But I'm sure, when this will happen, the users community will be larger and the project will be even more powerful. Overall: Blynk has helped me a lot. I went from local executable projects to a worldwide controlled projects and, at the same time, reducing the number of coding lines making the projects faster and stable. It also helped me in learning new programming languages. Pros: Blynk is realy easy to learn even for beginers. You can start with paid blynk server, or wirh your own without spending any extra money. Blynk is full of features and fulfil most majority needs for IoT. Cons: Lack support for 3rd party smart devices, so it is not suitable as smart home app (it is possible with cooperation with services like IFTTT). There is no oficial web interface yet. No support for smart assistents like Google assistant (it is possible with cooperation with services like IFTTT). Pros: I am not a strong programmer. I guess I'd consider myself more of a code hacker than a straight up programmer. I wanted to do a few internet based projects and was hitting a few roadblock due to my lack of programming skills. I came across blynk and it pretty much solved all my problems. The setup thru the app was so easy and any additional coding I was able to do thru the Arduino IDE. It integrates with so many different devices that you can really use it with just about anything. It's also great that every item has a usage example you can reference. Overall: Basically.. programming got easier. It's helped me become a better programmer. Still a code hacker. :) but I understand more than I did before. Pros: Very beginner friendly and straight forward. Took no time at all to set up, coding the sensor output takes longer! It has been my first IoT project and I loved it, does whatever I need and more. So easy even children can use Blynk. Cons: No complaints, feature rich, reliable. The only con is that I didn't think of this idea earlier! Overall: Having only one weather station in the nearby city (12km) the data wasn't reliable enough for me and my business. My job consists of being on the sea a lot and having consistent, reliable, real time (15 min increment) measurements provides me with a piece of mind for the upcoming weather at a quick glance on my mobile phone. It can also plot a really nice graph which can also be exported. Pros: Ease of use with minimal software knowledge. Frequent updates to Blynk app. Support for multiple devices with different modes of communication. Cons: Concept of energy. In some cases, it's impossible to claim the energy back if you remove a widget. Overall: Though I am just home automation enthusiast but initially I was thinking of using it for commercial projects but was afraid of basing my product on a very new and not settled app. But Blynk has been there for a while, continuously innovating and win trust of users. Pros: I like that it is simple and intuitive. The energy system is easy to get a grasp on. I have been a user and a customer for a few years now and have been in touch with their support and always had my issue resolved. Cons: No flaws about it that I could see. All issues were resolved in a few days time. Overall: I use Blynk to teach kids programming and using wifi and other protocols to integrate their projects with phones. I have been using it for my home weather station for two years without having to reprogramm or fix anything. Pros: Blynk has been an absolutely gold solution to our need for a quick and easy way to develop and deploy varies unique IOT solutions. 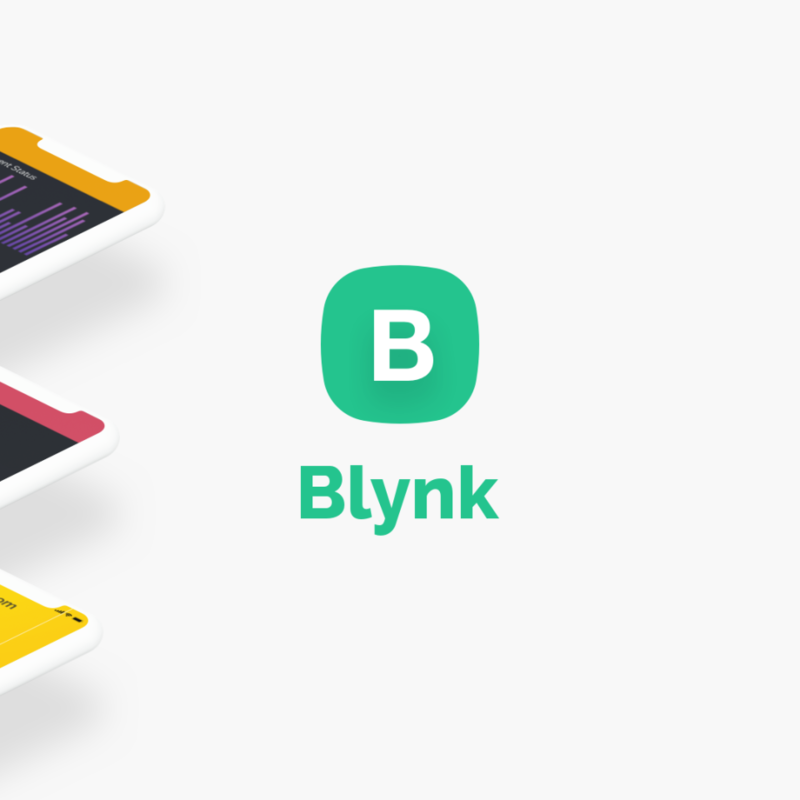 Blynk requires an incredibly low effort to setup sophisticated communications on a wide variety of hardware platforms and mobile devices. With it's free tier level also allowing great scope for demonstration and small projects. There is also the option of hosting your own Blynk server should you have special security or other requirements making it very flexible. 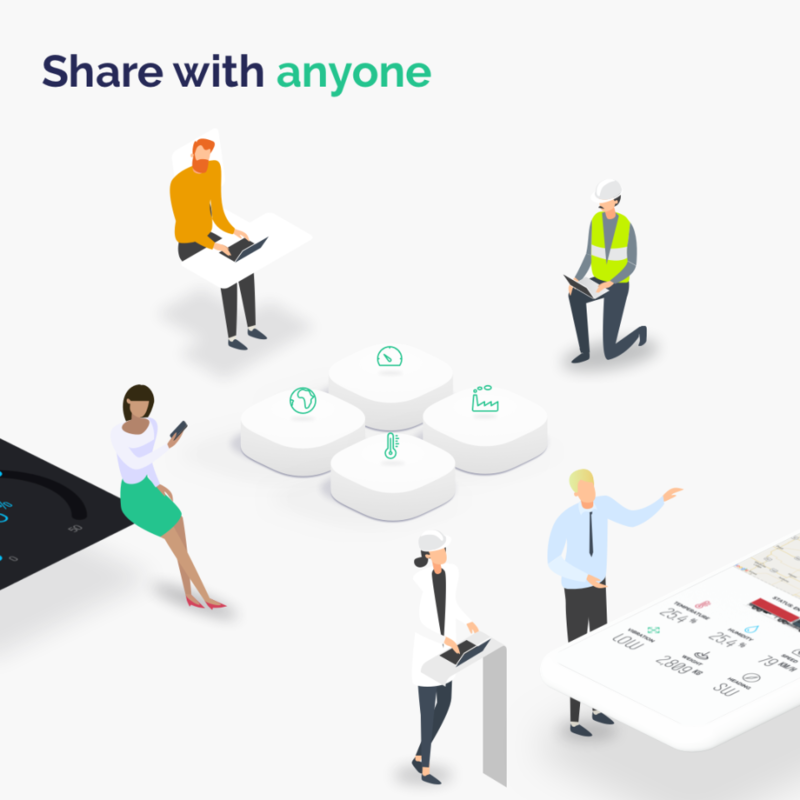 Blynk has a large community of users that often contribute to an ever expanding feature set making the Blynk service quiet contemporary and dynamic. Cons: The mobile user interface is a little restrictive at the moment. While you can achieve everything functionally needed the look and feel is currently a bit simple. Improvements are slowly being made. 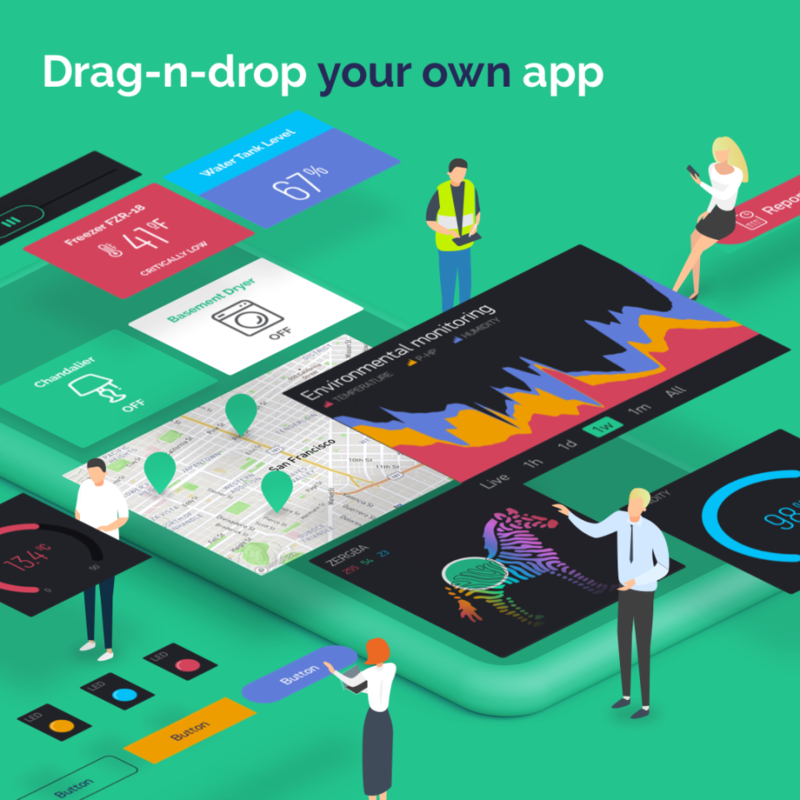 Overall: Blynk has eliminated the need for us to code mobile apps completely and provided a reliable communications infrastructure that has saved a great deal of time and effort. We can focus more on the core product and worry less about the 'how to communicate'. This is definitely the product to reduce the time to a completed IOT project. Pros: Blynk is very easy to use tool to develop an IoT app/interface on mobile phone with many hardware and IoT modules. The GUI is very attractive and it allows you to set up your own server. Great value for the money. Cons: There is still limitation on the available features, but the community is great in helping the group to continuously adding more features and functionalities. Overall: I am an experimental IoT farmer and I was looking for an easy to use mobile app on my iPhone to interface with monitoring and control capability for my IoT devices. Blynk just gave me up and running with great looking GUI in a very short period of time, just like a Blink without having to write any code for my iPhone. Pros: Possible build an intuitive Blynk GUI for advanced smart house technology from HDL. Easy to set up ESP32/ESP8266 using Arduino IDE. My family loves to use Blynk from everything to control the garage door, lighting, heating, ventillation, stereo and the heat pump. Cons: Would like to have more options in changing properties of the widgets, such as size and position. What about putting the widgets on a background picture of room. Would also like more Tabs. Pros: It is very easy to connect with Internet so even a person without any technical knowledge can do wonder with this software. Library comes with lot of examples and the software is very cheap and easy to use. Even student from Arts stream can use this.moreover you have a forum to discuss issues and achievements. Cons: This software has its limitation that it can not be used on Windows platform. Overall: I am using it at home only but it has a huge potential to use in businesses. Pros: Blynk makes it very simple to create professional-looking mobile apps to control IoT hardware. There is a comprehensive selection of design elements ('widgets') which can be used to build anything from simple apps with a couple of buttons to complex virtual control panels with graphing, readouts etc. There are a wide range of options for the embedded hardware, the most popular of which are supported by the Arduino toolchain which makes getting started and developing prototypes as easy as possible. The system has just the right level of ease-of-use versus capability for the projects I am trying to develop. Cons: As expected with a drag-and-drop 'app builder', there is a limit to the customisation that can be achieved, as that is the price to pay for not needing to write an app from scratch. The customisation is however steadily improving over time. Documentation, especially for more esoteric widget features, has historically been lacking and sometimes requires a bit of forum searching to work out. Overall: A very satisfying experience with responsive developers who seem to care about making a useful, quality product. I have several successful projects running with Blynk. within days from the idea to real world. Pros: I like that it costs me 10 minutes and 10 lines of code to set Blynk up on ESP8266/ESP32 and start automating. I am currently using it to control the lights in my bedroom (also dimming the led strips with a mosfet) and turn on/off my DIY audio DAC and amplifier. Free credits are enough for what I use it. I have been using it for 3 years now and I have never had a single issue. Cons: I have not found anything I don't like so far. Cons: Missing web dashboard, the customization of the app dashboard is limited but the build in widgets is enough to customize the app. Overall: As a maker and IoT dev, it's my favorite platform, all my home automation and alarm system based on Blynk and some upgrades to machines at my father factory. Pros: What i like most? There are many things, it's hard to establish a first. Let me try, but not necessary in this order: the amazing number of hardware supported, the possibility to run your own server, the help of community and the incredible fast support from developers; ease of use and superfast start up and running. Cons: THe lack of a "tablet" mode and a web dashboard. This is a temporary lack, as i understand these 2 are comming! Yeey!!! Overall: I consider myself totally self educated in the matters of IoT. Yet i have many modules around my house (and my yard) that are working incredible well for more than a year now. Pros: The setup on a Raspi was very well documented and the library briefly described the features that are possible. The freedom of personalization and overall ease of use was astonishing to me. There is nothing compareable on the market so far to gain such an advanced integration combined with a cross-compatability on common mobile device operating systems. Cons: Unfortunately, some of the app´s widgets were not always iOS compatible. Overall: As an apprentice I was able to convince my boss about the benefits and "open source" - architecture. Thanks to Blynk I am right now employed in a permanent position at T-Systems and continue to develop and manage projects achieved in the first place. I really, really do appreciate that and look forward to a smarter world and interesting future tasks done by Blynk! Pros: I was part of the initial KickStarter and had my own Raspberry/Arduino endeavors. ..What I found what that the amount of time I had to spend on it went down, but the amount of time my children wanted to use it went up. So much can be said about the libraries and compatibility, but the resulting ease of use, to foster that interest in IoT for my children is much more valuable. Cons: some things may have popped up along the way that might be small areas where enhancements could be made, but I can't think of anything I would label a 'con' with Blynk. Overall: My main experience was to use the product to accelerate my own education with different IoT devices, libraries, and programming languages. It fulfilled that for me, and as I mention above, so much more by helping me involve my children as well. icing on the cake! Cons: Probably the lack of a web page but as far as i know it is being developed.. Overall: I made a lot of different projects with this platform, with Arduino Uno + Eth shield, esp8266, esp32 and MKR1000 all developed with the help of the FAQ an some online search... And i am not a pro user! Pros: Easy integration with a variety of IoT devices and sensors, and great platform for prototyping freely with a open source server you can replicate on your house. And the community is great and very helpful, you can find many projects already made, easily adaptable to your needs. Cons: Some widgets cannot be deleted without lose credits. Overall: Blynk saved my pet! I'm monitoring the temperature of my terrarium (turtle) and few times something gone wrong with the heater. With Blynk I was warned immediately, give me the time to replace the heater before the temperature drops seriously (I was in winter), risking losing my turtle. Pros: Easy to get started. You can take your business from a prototype stage to production in a matter of weeks. No server downtime. Cons: The architecture is based on triggering actions from hardware, which often requires you to update the firmware to change functionality in the app. Overall: Our company would never have reached our deadlines without Blynk. Blynk saved us from hiring a development team, reduced our costs and let us focus on product development.